Down to the minute box office reporting is never the most interesting thing to read, but this story is simply too massive and too shocking to not talk about. It's likely if you're reading this then you went to see Jurassic World this weekend. Why? Because it's managed to make a whopping $511 million since its release last Thursday, giving it the biggest worldwide opening ever. Not bad for a franchise whose last entry was Jurassic Park III. The series' questionable output since Steven Spielberg's 1993 original is a key element of why Jurassic World being such a massive hit is so surprising. As release day approached it was clear this was more than just another nostalgia trip, but even the most optimistic box office predictor must have been taken aback by just how big it wound up being. And it's only going to get bigger. 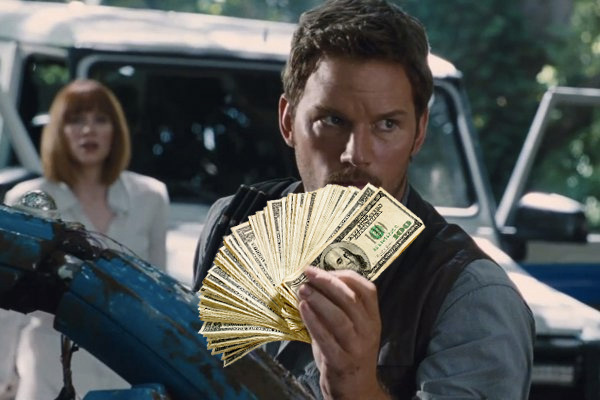 Unless there's a massive second week drop-off, Jurassic World is on course to become the highest grossing movie of the year, knocking Furious 7 from it's equally unexpected perch. But could it go one better and become one for the history books? This will no doubt become academic come December when Star Wars: The Force Awakens hits, but for now let's take a look at a box office smash fourteen years in the making and ask the big question - could Jurassic World become the highest grossing movie of all time (a title currently held by Avatar at $2.8 billion)?